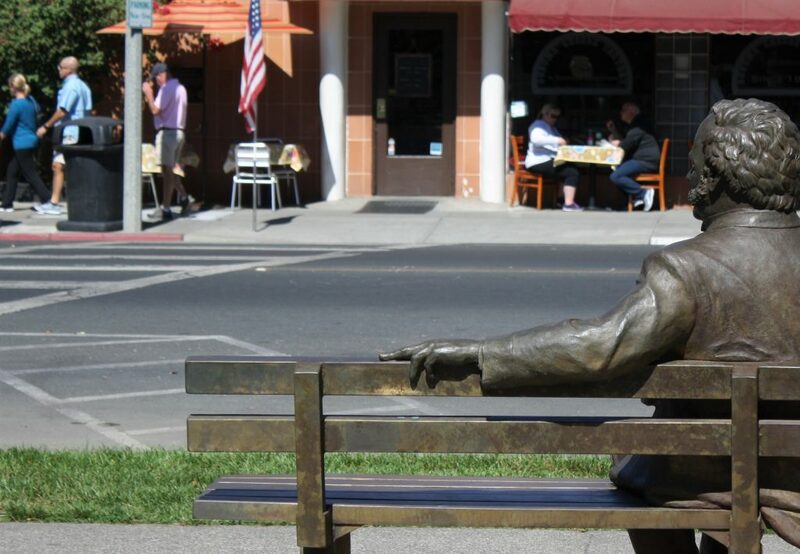 General Mariano Gaudalupe Vallejo (1807-1890) was a key figure in the history of Sonoma. Learn more about the life of General Vallejo. Local resources on the history on Sonoma include the Sonoma Valley Historical Society & Depot Park Museum and the Sonoma State Historic Park. Indigenous peoples called the Sonoma Valley home for at least 12,000 years before the arrival of the Spanish missionaries in the early 19th century. It is estimated that as many as 5,000 Native Americans lived in what is now Sonoma County prior to the arrival of the Europeans. The local tribes included the Pomo, Coast Miwok and Wappo. Their descendants, though greatly reduced in number, still are resident in Sonoma County. During this period, which began with the Spanish incursion into Mexico in 1521 and ended with Mexico winning its independence from Spain in 1821, various nations, including England, Russia, and Spain, lay claim to territory that encompassed what is now Sonoma County. There were a few military excursions by detachments of Spanish soldiers that raided Indian communities during the first two decades of the 19th centuries. While there were settlements in San Diego, Santa Barbara and Monterey and a number of missions were established during the period that Spain ruled Mexico, which included California, there was no activity in the Sonoma Valley by the Spanish authorities. On July 4, 1823, Mission San Francisco Solano de Sonoma was established by Father José Altimira. The Sonoma Mission was the only California mission established after Mexico achieved its independence from Spain on September 27, 1821, and is the northernmost and final of the 21 missions established in California by the Franciscans. Lieutenant Mariano Guadalupe Vallejo, who had been sent to Sonoma to secularize its mission under a Mexican Government program being implemented for all California and Mexican missions, received an order from Governor José Figueroa, dated June 24, 1835, to found the Pueblo de Sonoma. Vallejo laid out the eight-acre central Plaza [still the largest in California] and the street grid for the new pueblo. When Vallejo's nephew, Juan Bautista Alvarado, was named governor of the Mexican state of Alta California, Vallejo was appointed military governor of the state. On June 14, 1846, a group of Americans rode into a pre-dawn Pueblo de Sonoma and aroused from sleep the household of General Mariano Guadalupe Vallejo. This group of non-affiliated individuals who were dissatisfied with the immigration policies of the Mexican Government were intent in establishing their own rule of law to avoid expulsion by the Mexican Authorities. To that end, they declared a Bear Flag Republic, designed and raised a flag with a bear and a star and declared a California Republic with Sonoma its capital. This California Republic lasted only until July 9, 1846, when Lieutenant Joseph Warren Revere, U.S. Navy, [Lt. Revere was a grandson of the Revolutionary War hero, Paul Revere] rode into Sonoma and raised the Stars and Stripes of the United States of America. During this brief period of the California Republic, General Vallejo, his brother, Salvador, and several others were held prisoner at Sutter's Fort in Sacramento. The Vallejo brothers were finally released on August 1, 1846. During this period, California was administered by the U.S. Army, with Sonoma being one of the military posts that had been established in California to govern in the absence of active administration of California by the Mexican Government. During this period the discovery of gold at Sutter's Creek on January 24, 1848, resulted in dramatic changes in the size and demographics of Sonoma. Resulting from the spoils of the Mexican-American War [1846-1848], California was transferred formally to the United States under the terms of the Treaty of Guadalupe-Hidalgo, signed on February 2, 1848, and effective on July 4, 1848. When California achieved statehood on September 9, 1850, Sonoma County was one of the original counties. Sonoma's founder and leading citizen, General Vallejo, who had been elected as a state senator in the new state legislature, unsuccessfully lobbied to have Sonoma remain as the county seat of Sonoma County but it was moved to Santa Rosa in 1854 as the result of a disputed election. Sonoma was first incorporated as a city on April 4, 1850. General Vallejo later had the city unincorporated on April 26, 1862, for the benefit of certain land owners such as himself. Then it was re-incorporated as a City on September 3, 1883, and the cornerstone of the Sonoma City Hall was laid on February 24, 1906. Today, the citizens of Sonoma observe the founding of the Pueblo de Sonoma in 1835 on an annual Pueblo Day each June 24th. The Hispanic community of Sonoma Valley celebrates annually Cinco de Mayo on May 5th which is the date in 1862 that Mexico's army defeated French forces at the Battle of Puebla. The incursion of the Bear Flaggers in 1846 on June 14th is also observed annually with a re-enactment of the events of that day.